The smart cot® is the most innovative cot ever produced, powered by technological innovation. We have transformed the baby cot, a product that hasn't changed in decades, embedded all the sensor and technology inside the cot, to ensure your precious one is safe and well. 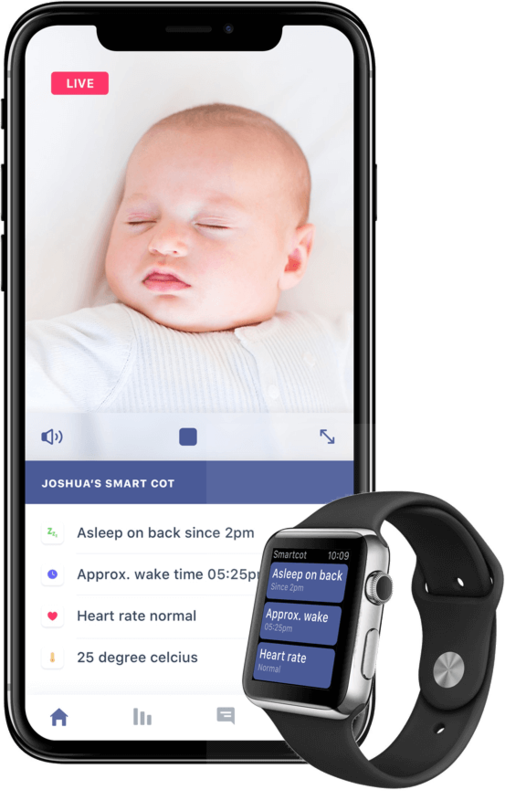 Smart cot is packed with sensors and latest technologies to track your baby’s health so you can relax. Machine learning image recognition identifies developmental milestones. Tracks and alerts abnormal behavior. No more fake alerts, our sensors are built into the mattress and sense your baby on every position. Sensor covers entire mattress. Alerts when breathing stops for 15 seconds. Blood oxygen monitor tracks baby’s health. Identifies when the baby is removed from the cot. Track baby’s weight gain. Check temperature throughout the night. 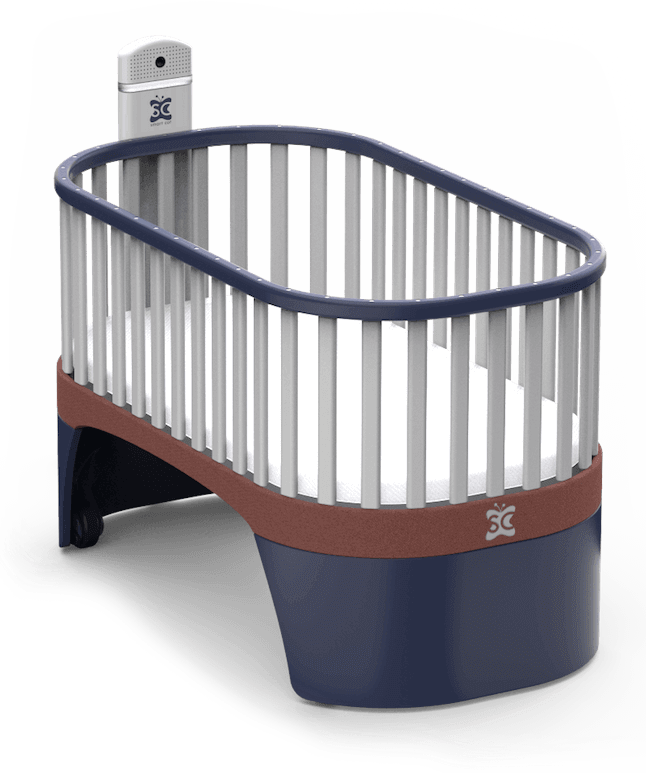 Built-in sensors enable the cot to track your baby's well being. Image recognition enables the cot to detect health issues and channel you directly to online health consultation. Our camera and sound recognition enable the smart cot to log for your baby’s activity. Proving you with greater predictability and ability to address your baby’s needs. 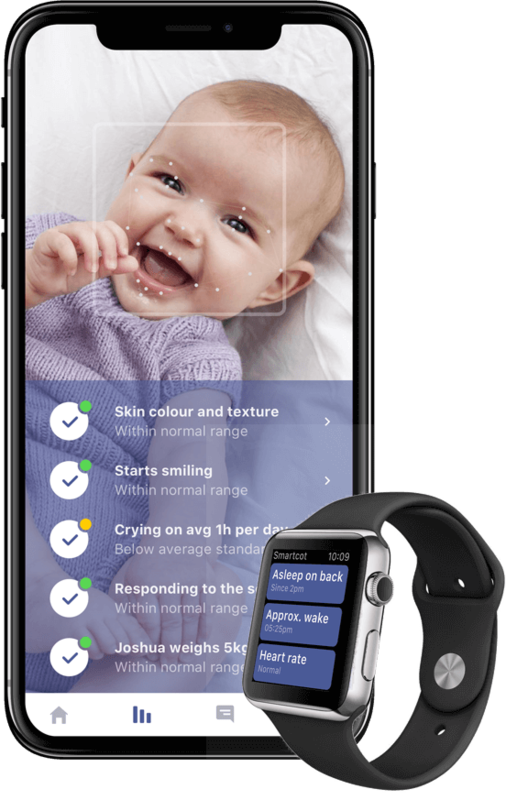 Image recognition to track your baby’s development, identify meeting developmental milestones and ensure you have all the information on your little one’s development. We combine machine learning, image recognition, and smart sensors into the Cot to ensure you have everything you need to safeguard your baby. Please feel free to send us an email to info@smart-cot.com. We endeavor to answer all inquiries within 24 hours on business days. Subscribe to our newsletter to be the first one to hear as soon as we have an update. Don't worry, we hate spam too. 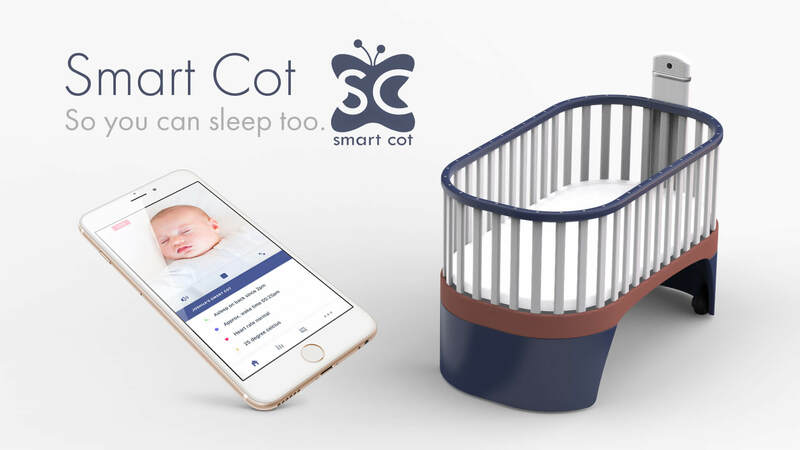 Interested in joining smart cot family? We are constantly on the lookout for talents! Don't see a position you are looking for? Send us an email at info@smart-cot.com with a bit about yourself (don’t forget to include your resume and portfolio where applicable).